The StFX Alumni Association will recognize four StFX University undergraduate (first degree) full time students who combine high academic standing with involvement in campus and/or community activities. Each award is $1500 and will be awarded to one student in each of the four years of study: first year, sophomore, junior, senior. (The funds are applied to your student account at the StFX Business Office.) These awards are intended to recognize students who have made a significant contribution to campus/community life and have benefited from their experience at StFX. You are not eligible to receive this award more than once. A minimum grade average of 70% is required for the current year to apply. Sophomore, junior and senior applicants are asked to submit a 1,000-word essay describing what influence they think their experience at StFX will have on life after graduation. Essay submissions need to be original work. Returning students are asked to include their previous years' averages as well as their Christmas average (does not need to be an official transcript – just copy from mes amis). 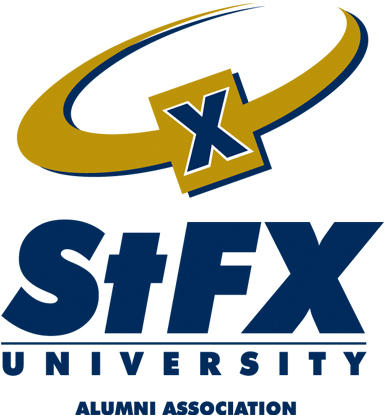 First-year student essays (1,000 words) should include reasons for choosing StFX and how the StFX experience has impacted them. First-year students need to provide their Christmas average (official transcript not necessary). Previous applicants may apply again but note that essays from applications in previous years cannot be resubmitted. Applicants must also include a list of their extra-curricular activities. Applicants must include a cover page listing full name, home address, campus address, home and campus phone numbers, an email address, year of attendance, program of study and anticipated year of graduation. Award winners may be asked to attend and read their essay at the fall Homecoming Hall of Honour ceremony in October (graduate students who are unable to attend are exempt). Please submit a hard copy and an electronic version (word document) of your entire submission to the address below before the application deadline.